The Middle Ages saw a great flourishing of philosophy. Now, to help students and researchers make sense of the gargantuan—and, often, dauntingly complex—body of literature on the main traditions of thinking that stem from the Greek heritage of late antiquity, this new four-volume collection is the latest addition to Routledge’s acclaimed Critical Concepts in Philosophy series. Christina Van Dyke of Calvin College, USA, and an editor of the Cambridge History of Medieval Philosophy, has carefully assembled classic contributions, as well as more recent work, to create a one-stop ‘mini library’ of the best and most influential scholarship. With a comprehensive index and a useful synoptic introduction newly written by the editor, Medieval Philosophy will be welcomed as an indispensable resource for reference and research. Jennifer E. Ashworth, ‘Signification and Modes of Signifying in Thirteenth-Century Logic: A Preface to Aquinas on Analogy’, Medieval Philosophy & Theology 1,1991, 39-67. Jennifer E. Ashworth, ‘Analogy and Equivocation in Thirteenth-Century Logic: Aquinas in Context’, Mediaeval Studies 54, 1992, 94-135. D. P. Henry, ‘Abelard’s Mereological Terminology’, in E. P. Bos (ed. ), Medieval Semantics and Metaphysics: Studies Dedicated to L. M. De Rijk, (Nijmegen: Ingenium Publishers, 1985), pp. 65-92. Normann Kretzmann, ‘Medieval Logicians on the Meaning of the propositio’, Journal of Philosophy 67, 20, 1970, 767-87. Christopher J. Martin, ‘William’s Machine’, Journal of Philosophy 83, 10, 1986, 564-72. Stephen Read, ‘The Liar Paradox from John Buridan back to Thomas Bradwardine’, Vivarium 40, 2002, 189–218. Jeff Brower and Susan Brower-Toland. ‘Aquinas on Mental Representation: Concepts and Intentionality’, Philosophical Review 117, 2, 2008, 193-243. John Haldane, ‘Aquinas on Sense Perception’, The Philosophical Review 92, 1983, 233-39. Claude Pannacio, ‘From Mental Word to Mental Language’, Philosophical Topics 20, 1992, 125-47. Dominik Perler, ‘Suárez on Consciousness’, Vivarium 55, 2014, 261-86. Giorgio Pini, ‘Two Models of Thinking: Thomas Aquinas and John Duns Scotus on Occurrent Thoughts’, in Gyula Klima (ed), Intentionality, Cognition and Representation in the Middle Ages, (NY: Fordham University Press, 2015), pp. 81-103. J. F. Silva and J. Toivanen. ‘The Active Nature of the Soul in Sense Perception: Robert Kilwardby and Peter John Olivi’, Vivarium 48, 2010, 245-278. Harry A. Wolfson, ‘The Internal Senses in Latin, Arabic, and Hebrew Philosophic Texts’, Harvard Theological Review 28, 2, 1935, 69-133. Jan Aertsen, ‘Method and Metaphysics: The via resolutionis in Thomas Aquinas’, New Scholasticism 63, 1989, 405-418. Bernardo-Carlos Bazán, ‘The Human Soul: Form and Substance? Thomas Aquinas’ Critique of Eclectic Aristotelianism’, Archives d’historie doctrinale et littéraire du Moyen Âge 64, 1997, 95-126. Peter King, ‘The Problem of Individuation in the Middle Ages’, Theoria 66, 2000, 159–184. Neil Lewis, ‘The Problem of a Plurality of Eternal Beings in Robert Grosseteste’, Medieval Philosophy and Theology 7, 1, 1998, 17-38. Armand Maurer, ‘Form and Essence in the Philosophy of St. Thomas’, Mediaeval Studies 11, 1951, 165-176. Calvin Normore, ‘Future Contingents’, in N. Kretzmann et al. 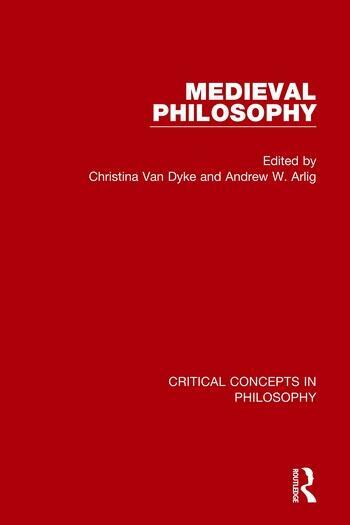 (eds), Cambridge History of Later Medieval Philosophy, (Cambridge: Cambridge University Press, 1982) pp. 358-381. Joseph Owens, ‘Common Nature: A Point of Comparison between Thomistic and Scotistic Metaphysics’, Mediaeval Studies 19, 1, 1957, 1-14. Anton Pegis, ‘The Separated Soul and Its Nature in St Thomas’, in Armand Maurer, CSB (ed), St Thomas Aquinas 1274–1974: Commemorative Studies, Vol. 1, (Toronto: Pontifical Institute of Mediaeval Studies 1974), pp. 131-159. Arthur N. Prior, ‘The Possibly-True and the Possible’, Mind 78, 312, 1969, 481-492. Eileen Sweeney, ‘Individuation and the Body in Aquinas’, in Jan A. Aertson and Andreas Speer (eds. ), Miscellanea Mediaevalia 24: Individuum and Individualität im Mittelalter, (Berlin: Walter de Gruyter, 1996), pp. 178-196. Deborah Black, ‘Knowledge (‘ilm) and Certitude (yaqin) in al-Farabi’s Epistemology’, Arabic Sciences and Philosophy 16, 1, 2006, 11-46. Therese Scarpelli Cory, ‘Rethinking Abstractionism: Aquinas’s Intellectual Light and Some Arabic Sources’, Journal of the History of Philosophy 53, 2015, 607-646. Dmitri Gutas, ‘The Empiricism of Avicenna’, Oriens, 40, 2012, 391–436. John F.Wippel, ‘Truth in Thomas Aquinas’, Review of Metaphysics 43, 2, 1989, 295-326. _______. ‘Truth in Thomas Aquinas, Part II’, Review of Metaphysics 43, 3, 1990, 543-567. Richard Cross, ‘Duns Scotus’s Anti-reductionistic Account of Material Substance’, Vivarium 33, 1995, 137–70. Simo Knuuttila and Anja Inkeri Lehtinen, ‘Change and Contradiction: A Fourteenth Century Controversy’, Synthese, 40, 1979, 189-207. Abdelhamid I. Sabra, ‘Kalam Atomism as an Alternative Philosophy to Hellenizing Falsafa’, in J. Montgomery (ed), Arabic Philosophy: From the Many to the One: Essays in Celebration of Richard M. Frank, (Leuven: Peeters, 2006), pp. 199-272. Cecelia Trifogli, ‘Giles of Rome on the Instant of Change’, Synthese 96, 1, 1993, 93-114. James A. Weisheipl, ‘The Principle　Omne quod Movetur ab Alio Movetur　in Medieval Physics’, in W. E. Carroll (ed),　Nature and Motion in the Middle Ages, (Washington, D.C.: The Catholic University of America Press, 1985), pp. 75–97. Marilyn McCord Adams, ‘The Resurrection of the Body According to Three Medieval Aristotelians: Thomas Aquinas, John Duns Scotus, William Ockham’, Philosophical Topics, 20, 2, 1992, 1-33. Brian Davies, ‘Aquinas, God, and Being’, The Monist 80, 4, 1997, 500-520. Alfred J. Freddoso, ‘Human Nature, Potency, and the Incarnation’, Faith and Philosophy, 3, 1986, 27-53. Norman Kretzmann and Eleonore Stump, ‘Eternity’, Journal of Philosophy 78, 8, 198, 429-458. Brian Leftow, ‘Boethius on Eternity’, History of Philosophy Quarterly 7, 2, 1990, 123-142. Michael E, Marmura, ‘Avicenna and the Problem of the Infinite Number of Souls’, Mediaeval Studies, 22, 1960, 232-39. Josef Stern, ‘Maimonides’ Demonstrations: Principles and Practices’, Medieval Philosophy and Theology 10, 1, 2001, 47-84. Christina Van Dyke, ‘Mysticism’, in R. Pasnau and C Van Dyke (eds), The Cambridge History of Medieval Philosophy, (Cambridge: Cambridge University Press, 2010), pp. 720-34. Marilyn McCord Adams, ‘The Structure of Ockham's Moral Theory’, Franciscan Studies 46, 1, 1986, 1-35. David M. Gallagher, ‘Free Choice and Free Judgment in Thomas Aquinas’,　Archiv für Geschichte der Philosophie　76, 1994, 247–77. Jeff Hause, ‘Thomas Aquinas and the Voluntarists’, Medieval Philosophy and Theology 6, 2, 1997, 167-82. Tobias Hoffmann, ‘Peter Auriol on Free Choice and Free Judgment’, Vivarium 53, 2015, 65–89. Bonnie Kent, ‘Aquinas and Weakness of Will’, Philosophy and Phenomenological Research 75, 1, 2007, 70-91. Thomas Williams, ‘The Unmitigated Scotus’, Archiv fur Geschichte der Philosophie 80, 2, 1998, 162-81. Allan Wolter, ‘The Unshredded Scotus: A Response to Thomas Williams’, American Catholic Philosophical Quarterly 77, 3, 2003, 315-56. Deborah Black, ‘Practical Wisdom, Moral Virtue, and Theoretical Knowledge: The Problem of the Autonomy of the Practical Realm in Arabic Philosophy’, in B. C. Bazan, E. Andujar and L. G. Sbrocchi (eds), Moral and Political Philosophies in the Middle Ages, Volume 1, (Ottawa: LEGAS, 1995), pp. 451-65. Caroline Walker Bynum, ‘The Female Body and Religious Practice’, in Zone Three: Fragments of a History of the Human Body, Part One (New York: Urzone, 1989), pp. 160-219. Janet Coleman, ‘Property and Poverty’, in J. Burns (ed), The Cambridge History of Medieval Political Thought, (Cambridge: Cambridge University Press, 1988), pp. 607–48. A. M. Khalidi, ‘Al-Farabi on the Democratic City’, British Journal for the History of Philosophy 11, 3, 2003, 379-94. Roberto Lambertini, ‘The Debate about Natural Rights in the Middle Ages: The Issues of Franciscan Poverty’, in M. Tuominen, S. Heinamaa and V. Makinen (eds. ), New Perspectives on Aristotelianism and Its Critics, (Leiden: Brill, 2014), pp. 111-26. Frederick H. Russell, ‘Just War’, in R. Pasnau and C. Van Dyke (eds), The Cambridge History of Medieval Philosophy, (Cambridge: Cambridge University Press, 2010), pp. 593-606. Christian Van Dyke is professor of philosopht at Calvin College, USA.